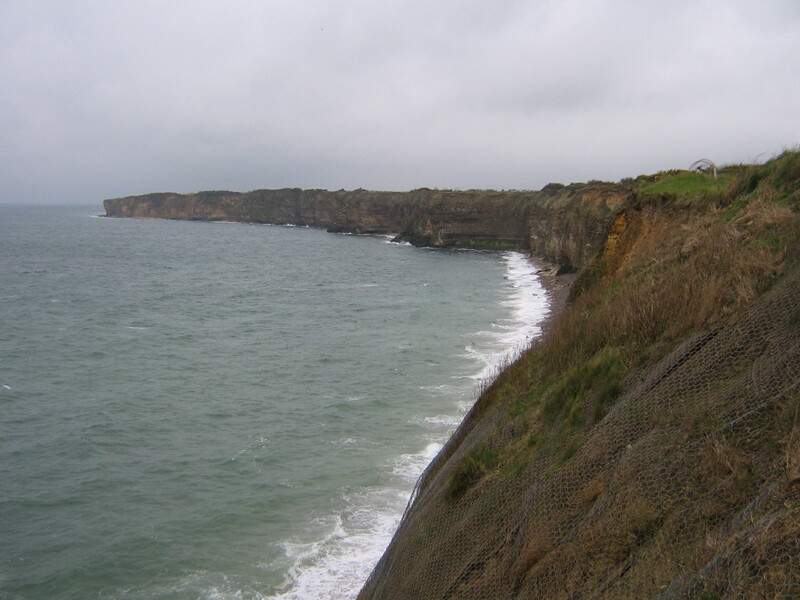 The cliffs at La Pointe du Hoc. The defense of the area fell to the 352nd Division, of Field Marshal Erwin Rommel’s Army Group B. The German’s rolled grenades down on the Rangers, but 18 Allied bombers pummeled the area, as did well directed fire from the H.M.S. Talybont and USS Satterlee; it was combined operations at its finest. Rudder’s men gained the top only to find the battery had been withdrawn.